From our first collaboration together in 2010 on Oak Street in Burlington, to our current work today on new and exciting locations around New England, our ongoing work with the good folks at the Skinny Pancake is a prime example of the Smith Buckley Architects commitment to the local food movement. The airport wished to improve its hospitality offerings on the secure side of the terminals. 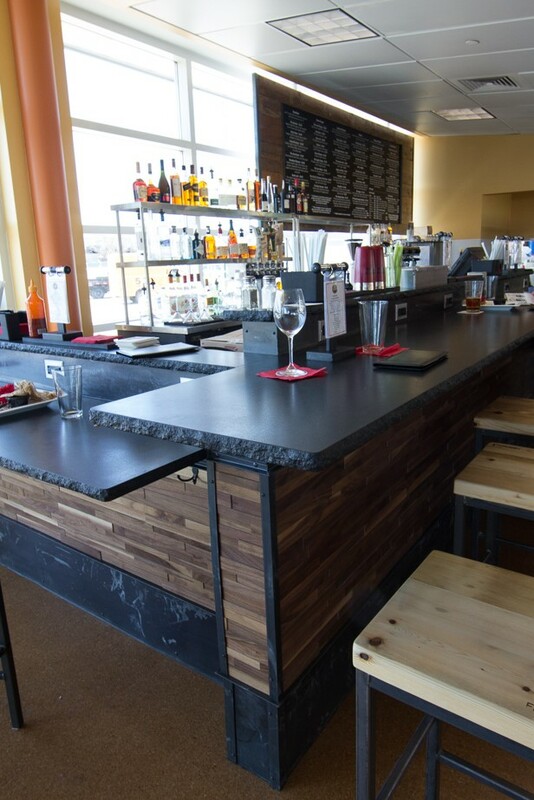 Our preliminary design work and renderings helped Skinny Pancake to win the competition for the contract. 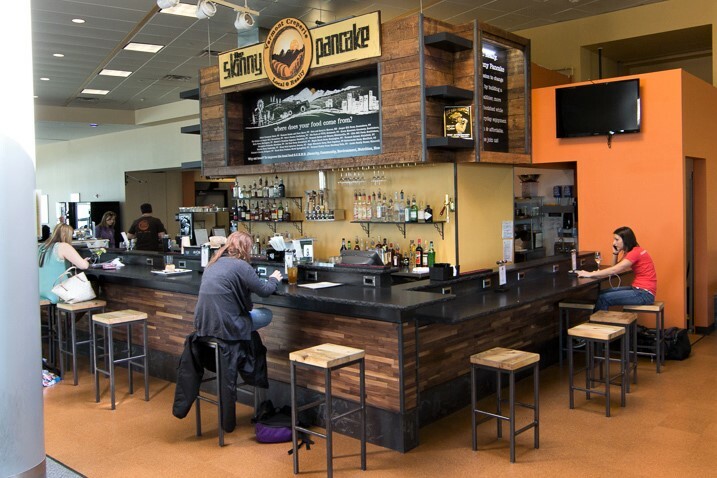 We designed one restaurant/bar at each of the two terminals in addition to a Chubby Muffin location on the non-secure side near the main ticketing cue. 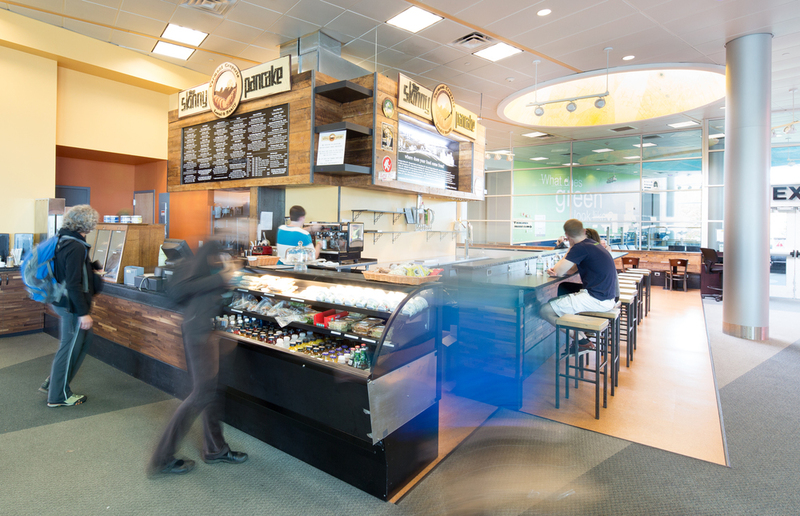 Kitchen, refrigeration, exhaust and other equipment planning on the project presented numerous technical challenges since the original design of the terminals did not plan for substantial food service operations in these areas. For more information check Skinny Pancake website here.